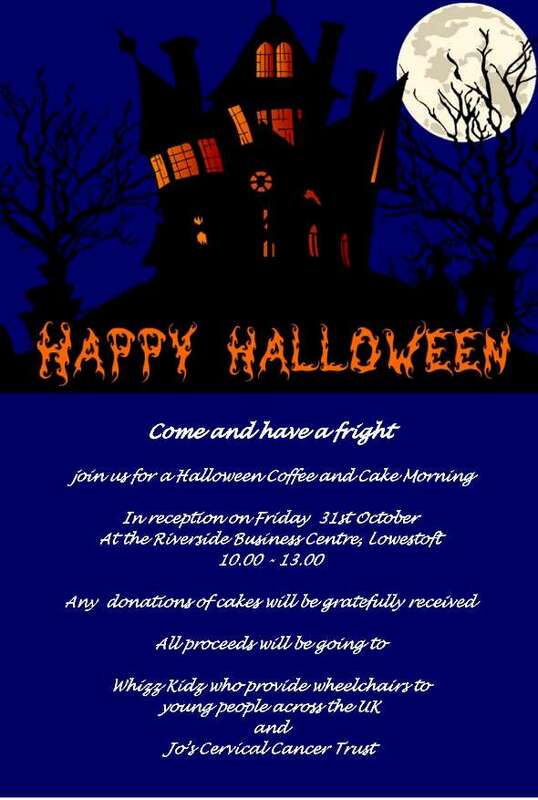 All are welcome to come along to our suitably scary Halloween Coffee and Cake Event which supports two fantastic charities. And if you’re a keen cake baker, why not bring some of your spooky creations along! All proceeds from the event will be going to charity; Whizz Kidz provides wheelchairs to young people across the UK, and Jo’s Cervical Cancer Trust is the only UK charity dedicated to supporting women and their loved ones affected by cervical cancer and cervical abnormalities. The setting will be the Riverside Business Centre in Lowestoft between 10am and 1pm. The Nwes centre is located at Riverside Road, Lowestoft, Suffolk, NR33 0TQ.